Transfer Fee means the fee payable in accordance with clause 7.1 below and Regulation 10 of the Conduct of Employment Agencies and Suppliers Regulations 2003. Introduction Fee means the fee payable in accordance with clause 7.2 below and Regulation 10 of the Conduct of Employment Agencies and Suppliers Regulations 2003. Introduction means (I) the Client’s interview of a Staff Nurse in person or by telephone, following the Client’s instruction to the Supplier to supply Staffing Services; or (ii) the passing to the Client of a curriculum vitae or information which identifies the Nurse;; and which leads to a supply of Staffing services. 1.2. Unless the context otherwise requires, references to the singular include the plural. 2.1. These Terms constitute the contract between the Supplier and the Client for the supply of the Staffing Services by the Supplier to the Client and are deemed to be accepted by the Client by virtue of its request for the Staffing Services or the passing of any information about the Staffing Services to any third party following an Introduction. 2.2. These Terms contain the entire agreement between the parties and unless otherwise agreed in writing by the Director of the Supplier, these Terms prevail over any terms of business or purchase conditions put forward by the Client. 2.3. No variation or alteration to these Terms shall be valid unless the details of such variation are agreed between the Supplier and the Client and are set out in writing and a copy of the varied terms is given to the Client stating the date on or after which such varied terms shall apply. 3.1 The Client agrees to pay such charges of the Supplier as shall be notified to and agreed with the Client. The hourly charges for Staffing services are calculated according to the number of hours worked. Saroia Staffing Services Ltd reserves the right to add a service charge to the final invoice to cover administration costs. 3.2 The charges are invoiced to the Client on a weekly basis and are payable within 7 days. The Supplier reserves the right to charge interest on any overdue amounts at the rate of 8% per annum above the base rate set by the Bank of England from the due date until the date of payment. 3.3 If a shift is cancelled by the client within one hour or less of starting the client will be liable to pay the Supplier for half the intended shift fee in compensation. 3.5 VAT will be added to charges as appropriate in line with HMRC directives. 4.1. When making the supply of Staffing Services to the Client the Supplier shall inform the Client of the identity of its staff member; that the Staff has the necessary or required experience, training, qualifications and any authorisation required by law or a professional body to work in the Assignment. 4.2. Where such information is not given in paper form or by electronic means it shall be confirmed by such means by the end of the third business day (excluding Saturday, Sunday and any public or Bank holiday) following, save where the Staffing Services are being Introduced for an Assignment in the same position as one in which the Nurse had previously been supplied within the previous five business days and such information has already been given to the Client, unless the Client requests that the information be resubmitted. 5.1 At the end of each week of an Assignment (or at the end of the Assignment where it is for a period of one week or less) the Client shall sign the Supplier’s time sheet verifying the number of hours worked by the Nurse during that week. 5.2 Signature of the time sheet by the Client is confirmation of the number of hours worked. If the Client is unable to sign a time sheet produced for authentication because the Client disputes the hours claimed, the Client shall inform the Supplier as soon as is reasonably practicable and shall cooperate fully and in a timely fashion with the Supplier to enable the Supplier to establish what hours, if any, were worked. Failure to sign the time sheet does not absolve the Client’s obligation to pay the charges in respect of the hours worked. 5.3 The Client shall not be entitled to decline to sign a timesheet on the basis that he is dissatisfied with the work performed. In cases of unsuitable work the Client should apply the provisions of clause 10.1 below. 6.1 The Supplier assumes responsibility for paying its staff and where appropriate, for the deduction and payment of National Insurance Contributions and PAYE Income Tax applicable to the Staffing Services pursuant to sections 44-47 of the Income Tax (Earnings and Pensions) Act 2003*. The Client shall be liable, to either an extended period of hire or a Transfer Fee the length or amount of which is to be agreed between the Supplier and the Client. 7.1.2 The Client must give the Supplier 7 days’ written notice in advance of the Engagement if the Client elects to take the worker for the period of extended hire. If the client does not give such notice before the suppliers staff are engaged the parties agree that the Transfer Fee shall be due. 7.1.3 If the parties do not agree a period of extended hire or a Transfer Fee in accordance with 7.1.1 then the following shall be deemed to have been agreed: a) The length of the extended period of hire shall be 4 weeks during which the Client shall pay the current hourly charge agreed pursuant to clause 3.1 for each hour the staff is supplied; or b) The amount of the Transfer fee shall be: calculated as follows: 20% of the Remuneration applicable during the first 12 months of the Engagement or, if the actual amount of the Remuneration is not known, the hourly charges agreed pursuant to clause 3.1 multiplied by 200 times the hourly charge. No refund of the Transfer Fee will be paid in the event that the Engagement subsequently terminates. VAT is payable in addition to any fee due. 7.2.1 In the event that there is an Introduction of the suppliers staff to the Client which does not result in the supply of Staff Nurse by the Supplier to the Client, but which leads to an Engagement by the Client of the staff either (1) directly or (2) pursuant to being supplied by another Supplier within [6 months] of the date of the Introduction, the Client shall be liable, to either a period of hire or an Introduction Fee the length or amount of which is to be agreed between the Supplier and the Client. 7.2.2 The Client must give the Supplier 7 days’ written notice in advance of the engagement if the Client elects to take the worker for the period of hire. 7.2.3 If the client does not give such notice before the Staffing Services are engaged the parties agree that the Introduction Fee shall be due. 7.2.4 If the parties do not agree a period of hire or an Introduction Fee in accordance with 7.2.1 then the following shall be deemed to have been agreed: a) The length of the period of hire shall be 4 weeks during which the Client shall pay the hourly charge agreed pursuant to clause 3.1 for each hour the Staffing Services are supplied; or b) The amount of the Introduction fee shall be: calculated as follows: 20% of the Remuneration applicable during the first 12 months of the Engagement or, if the actual amount of the Remuneration is not known, the hourly charges agreed pursuant to clause 3.1 multiplied by 200 times the hourly charge. No refund of the Transfer Fee will be paid in the event that the Engagement subsequently terminates. VAT is payable in addition to any fee due. 7.3 In the event that the Engagement of the Staffing Services is for a fixed term of less than 12 months, the fee in clause 7.1.1(b) or 7.2.1(b), calculated as a percentage of the Remuneration, will apply pro-rata. If the Engagement is extended beyond the initial fixed term or if the Client re-engages the Staffing Services within 3 months of the termination of the first Engagement the Client shall be liable to pay a further fee based on the additional Remuneration applicable for the period of Engagement following the initial fixed term up to the termination of the second Engagement or the first anniversary of its commencement, whichever is sooner. 7.4.1 If the Client elects for a period of hire, as set out above in clause 7.1 or 7.2, but before the end of such period Engages the staff supplied by the Supplier either directly or pursuant to being supplied by another Supplier or the e chooses not to be supplied for the period of hire, the Transfer or Introduction Fee set out in clauses 7.1 or 7.2 may be charged, reduced by such percentage to reflect any period of extended hire already undertaken and paid for by the Client. 7.4.2 Where period(s) of absence due to illness or injury prevent the Staffing Services from being supplied for 4 or more days, which shall be qualifying days for the purposes of Statutory Sick Pay (SSP), during the period of hire as set out above, the period of hire shall be extended by a period equivalent to the total period of absence. Where the Supplier pays the Staffing Services SSP during the period of hire an equivalent amount shall be charged to and be payable by the Client in addition to the charges agreed pursuant to clause 3.1. The Client shall be liable, to pay a Transfer Fee the amount of which is to be agreed between the Supplier and the Client. If the parties do not agree a Transfer Fee in accordance with 7.5.1 then the Client will be liable to pay a Transfer Fee calculated in accordance with clause 7.1.4 (b) above. 7.6.1 In the event that there is an Introduction of a Staffing Services to the Client which does not result in the supply of that Staffing Services by the Supplier to the Client, but the Staffing Services are introduced by the Client to a third party which results in the Engagement of the Staffing Services by the third party within 6 months from the date of Introduction the Client shall be liable, to an Introduction Fee calculated in accordance with clause 7.2.4 (b) above. 8.1 Whilst every effort is made by the Supplier to give satisfaction to the Client by ensuring reasonable standards of skills, integrity and reliability in supplying Staffing Services and further to provide them in accordance with the Client’s booking details, the Supplier is not liable for any loss, expense, damage or delay arising from any failure to provide any Staffing Services for all or part of the period of booking or from the negligence, dishonesty, misconduct or lack of skill of the Staffing Services. For the avoidance of doubt, the Supplier does not exclude liability for death or personal injury arising from its own negligence. 8.2 Staffing Staff supplied by the Supplier are employees of the supplier or consultants engaged on fixed term contracts for the Supplier. They are deemed to be under the supervision, direction and control of the Client from the time they report to take up duties and for the duration of the Assignment. 8.3 The Client shall advise the Supplier of any special health and safety matters about which the Supplier is required to inform the staff and about any requirements imposed by law or by any professional body, which must be satisfied if the Staffing Services is to fill the Assignment. The Client will assist the Supplier in complying with the Supplier’ duties under the Working Time Regulations by supplying any relevant information about the Assignment requested by the Supplier and the Client will not do anything to cause the Supplier to be in breach of its obligations under these Regulations. 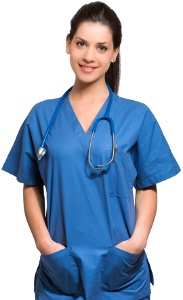 Where the Client requires or may require the services of a Nurse for more than 48 hours in any week, the Client must notify the Supplier of this requirement before the commencement of that week. 8.4 The Client undertakes that it knows of no reason why it would be detrimental to the interests of the staff for the Nurse to fill the Assignment. 8.5 The Client undertakes not to request the supply of Staffing Services to cover the duties normally performed by a worker who is taking part in official industrial action or duties normally performed someone who has been transferred by the Client to perform the duties of the person on strike or taking official industrial action. 8.6 The Client shall indemnify and keep indemnified the Supplier against any costs, claims or liabilities incurred by the Supplier arising out of any Assignment or arising out of any non-compliance with clauses 8.2, 8.3 and 8.5 and/or as a result of any breach of these Terms by the Client. 9.1 Where the Nurse is are required by law, or any professional body to have any qualifications or authorisations to work on the Assignment or the Assignment involves caring for or attending one or more persons under the age of eighteen or any person who by reason of age, infirmity or who is otherwise in need of care or attention, the Supplier will take all reasonably practicable steps to obtain and offer to provide to the Client: a) Copies of any relevant qualifications or authorisations of the staff, and b) Two references from persons not related to the Nurse who have agreed that the references they provide may be disclosed to the Client and has taken all reasonably practicable steps to confirm that the staff are suitable for the Assignment. If the Supplier is unable to do any of the above it shall inform the Client of the steps it has taken to obtain this information in any event. And also provided that notification of the unsuitability of the Staffing Services is confirmed in writing to the Supplier within 48 hours of the termination of the Assignment. 10.2 In the event the shift is cancelled without the sufficient notice as detailed in 10.1a and 10.1b the client will be charged for three hours cancellation fee. 10.3 The Client or Supplier may terminate an Assignment at any time without prior notice and without liability. 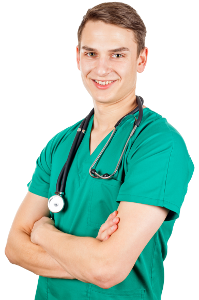 By applying our knowledge of legislation & regulatory guidelines such as the NHS Employers Standards and Care Quality Commission Essential Standards of Quality & Safety we are committed to delivering a safe and high quality service. Saroia Staffing Services works with technology partners and strives to deliver robust, cost effective & innovative services. We constantly review and regularly audit our business and clinical governance processes to ensure we continuously improve.